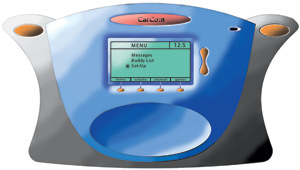 Description: CarCom is a communication device designed for the automobile market that is intended to allow people to interact and meet other people on the road they otherwise would not have. 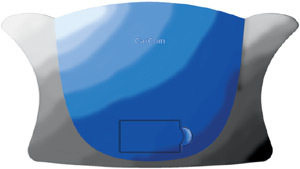 Through the use of user defined profiles, people on the road with "compatible" profiles would be notified when another CarCom user comes within a proxemic range. A request will be sent which will allow user to initiate a hands free voice chat. -- There are approximately 130 million people who commute to work in the US. -- The mean travel time a person spends commuting to work is 22.4 min. -- 60% are traveling 45 minutes or more.